What is New? RCUES Lucknow has been appointed to run the residential schools under Uttar Pradesh Building and Other Construction Workers Welfare Board in Meerut, Ghaziabad, Bahraich, Agra, Ferozabad and Bhadoi districts of UP. Regional Center for Urban and Environmental Studies (RCUES) has been empaneled by the Ministry of Women and Child Development(Women &Welfare Division), Government of India to impart training programmes/workshops under Sexual Harassment of women at the workplace (Prevention, Prohibition and Redressal) Act 2013. Regional Center for Urban and Environmental Studies (RCUES) has been empaneled to provide Consultancy services for preparing Techno-Economic Feasibility Reports, Detailed Project Report and Project Management Consultancy Services in the field of various Urban Services and Urban Infrastructure Projects under Urban Development and Housing Department, Govt. of Jharkhand. RCUES has been empanelled as a resource organization under Training & Capacity Building Programmes-NULM to provide trainings under NULM. The Regional Centre has been empanelled as Training entity for rolling out individual capacity building for ULB functionaries under AMRUT and SMART Cities Mission by MoUD, GoI. Regional Centre has been empanelled by Ministry of Urban Development, Govt. of India for providing support to the cities/towns for Solid Waste Management under Swachh Bharat Mission. Centre has been designated as the Resource Partner under the SMART CITY Mission, Swachh Bharat Mission, Housing for All- Urban, HRIDAY and AMRUT by the Dept. of Urban Development, Govt. of Uttar Pradesh for the State of Uttar Pradesh. Centre has been nominated as the Third Party Evaluator by Dept. Of Urban Development, Govt. 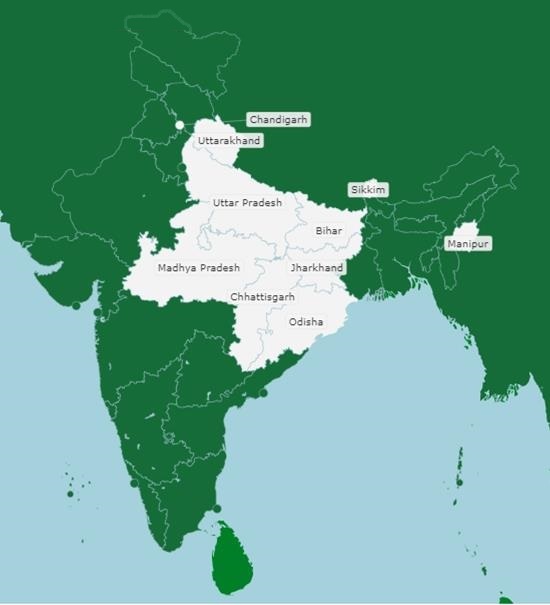 of Uttar Pradesh under the clean-green campaign launched by U.P. Chief Minister, for the selection of the Best Wards from Lucknow, Kanpur, Agra and Mathura based on the successful works done by them in keeping their wards clean and sanitized. Centre has been nominated as a Resource Partner under comprehensive Capacity Building Programme of Uttar Pradesh which is financed by Ministry of Urban Development, Govt. of India. MoU signed between CSIR-NEERI, Nagpur and RCUES Lucknow RCUES has been nominated as Resource Centre to provide training and capacity building of Street Vendors under NULM by SUDA Uttar Pradesh. The Regional Centre for Urban & Environmental Studies (RCUES), Lucknow was established at the University of Lucknow in the year 1968 by the Ministry of Housing and Urban Affairs (earlier referred as Ministry of Urban Development), Government of India. It is one of the premier Centres in the country established to play a positive role in the field of urban management. The key activities of the Centre includes Training, Capacity building, Research, Teaching, Consultancy Services and dissemination of information relating to the Urban Sector in the states of Arunachal Pradesh, Assam, Chandigarh,Manipur, Meghalaya, Mizoram, Nagaland, Sikkim, Tripura, UP, MP, Bihar, Odisha, Uttarakhand, Jharkhand, Chhattisgarh and West Bengal. The centre provides its expertise, advisory services & consultancy services to urban local bodies all over the country. For Achieving Good Urban Governance” G.O.